Chrichton's World: Review Wonder Seven a.k.a. 7 jin gong (1994): A guilty pleasure of mine! Review Wonder Seven a.k.a. 7 jin gong (1994): A guilty pleasure of mine! Confession time! 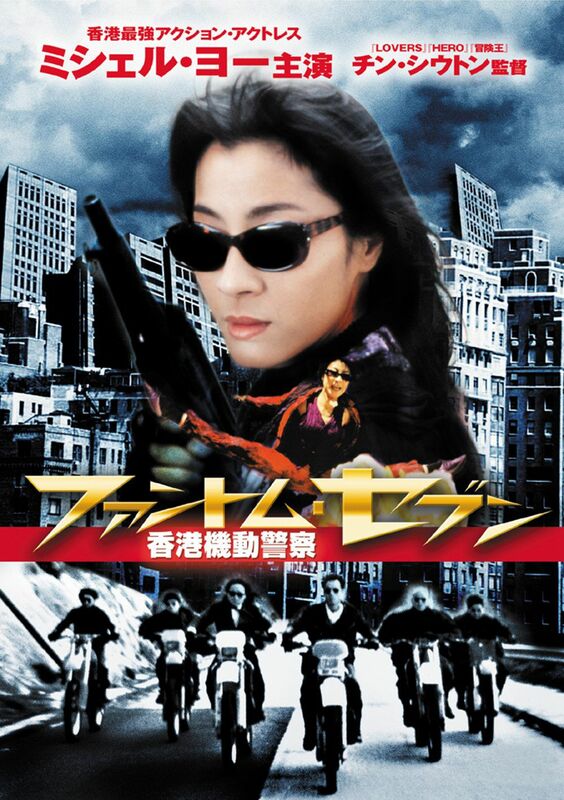 Wonder Seven for a long time was among my favourite Hong Kong actioners. After now having seen it back since forever I think that younger me was out of his mind. In my defence I did watch this film multiple times in an era where almost all Hong Kong action flicks were much better than Hollywood ones. And to be fair the action in Wonder Seven is very solid and entertaining. Still it does feel like some of it hasn't aged well. I blame this on the heavy use of wireworks. They way it's implemented might have worked back then. Now it just looks cheesy and useless. Too much of it is fantastical and in it simply doesn't mesh with the modern setting. However if you can overlook this big flaw you will be treated to some old school slow motion gun play a la John Woo. Director Tony Ching (A Chinese Ghost Story / A Chinese Ghost Story II) also worked on A Better Tomorrow II as action director. Now I don't know how much he actually was involved with the choreography in that classic but if I compare the bloodshed in this film to the latest John Woo film Manhunt it's clear to me that Woo was behind it all. Tony Ching must have picked up something from Woo. Not saying that Tony Ching himself isn't capable. But if I had to guess is that he is more specialised in wuxia related combat. The gun play truly is exciting. Especially in the finale. Too bad it was over before I knew it. I would have immensely loved it had they increased the action tenfold. I mean what is the point of having all these goons coming in from all angles to then be dispatched off so quickly. These sequences easily could have been prolonged. Then again I am someone who has watched Hard Boiled over fourty times and still loving it as much as the first time I watched it. I can't get enough of it. Another problem is the story or more the lack of and how the characters are portrayed. Now I am one of those people who isn't too hung up about stories in action flicks as long as they are functional and provide context for the action. It's in this department where the film fails. It skips things like building up characters and giving them actual backgrounds. It's kind of pointed out in their introduction who they are. But that is limited to their speciality. The Wonder Seven apparently are orphans trained by an old agent of some secret organization who do all kinds of secret stuff. And they seem to like each other very much. That is all the info you will get on them. Same thing goes for Michelle Yeoh's character. She is alligned with the super baddie and it is clear she doesn't like him much and yet is still very loyal. Until she meets one of the Seven. Yes, there is even some flirting. In an incredibly childish manner. It was at this point I was wondering who this film was intended for. Tonally the film is all over the place. Lot's of comedy and lightheartedness intertwined with death, chaos and betrayal. Super baddie was very aware he was in a bad film and hams it up big time which makes me think this film was meant for kids. It's the only explanation that makes sense. Still doesn't explain why it deals with certain adult themes but I guess they were optimistic or convinced could handle all what it is throwing at them. Overall, you aren't supposed to take this film seriously. Just focus on the action sequences and you will have a good time especially if you are watching it for the first time. Just don't expect too much.